Hostellerie de Plaisance is comprised of two charming buildings, which are connected by a beautiful suspended garden. A true haven of tranquillity, the buildings are carved in rock and the stunning architecture is dominated by an elegant and ascetic classicism. 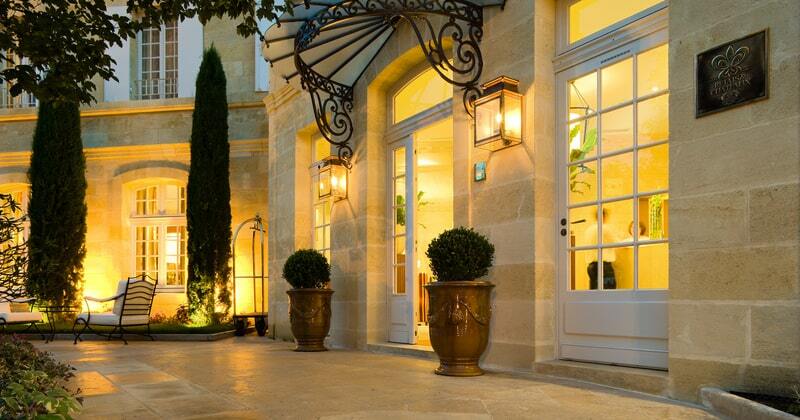 An unusual and unique hotel, Hostellerie de Plaisance offers beautiful views across the village of Saint-Emilion and its prestigious vineyards, and is the perfect luxury base from which to discover the region’s world-famous wines. 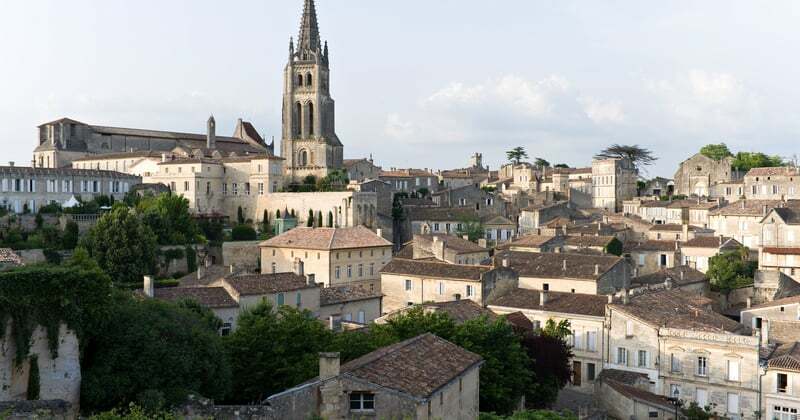 Boasting an enviable location in the heart of the UNESCO Classified village of Saint-Emilion, Hostellerie de Plaisance is just a stone’s throw from some of the world’s most prestigious wineries, such as Château Angélus, Château Ausone and Château Pavie. If you are arriving by train, Libourne station is 15 minutes from the hotel by taxi and for those with their own vehicle, complimentary parking is available on site. One of the hotel’s most unique and exciting features is its panoramic terrace, offering breathtaking views across the village and its pink-tiled rooftops. Dinner and drinks are both served on the terrace in the summer months and during the winter months, the beautiful views can still be afforded from the warm and inviting lounge bar. 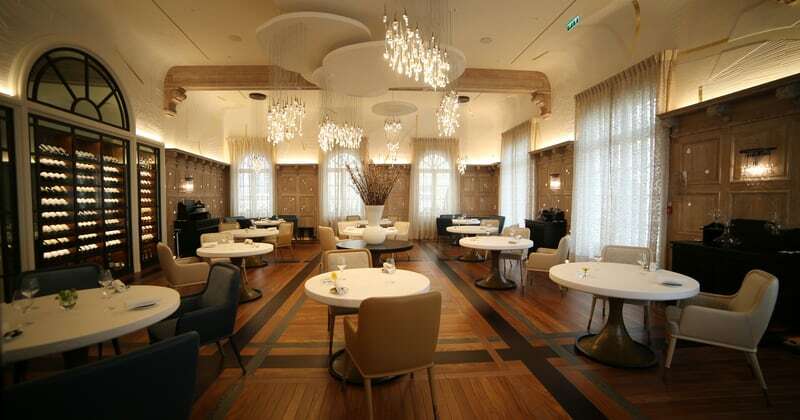 Food lovers will delight in the hotel’s impressive double Michelin-Starred restaurant, headed by celebrated Chef Ronan Kervarrec. Trained by some of the best chefs of the country, Ronan combines an impressive technique with a lot of passion for his work. 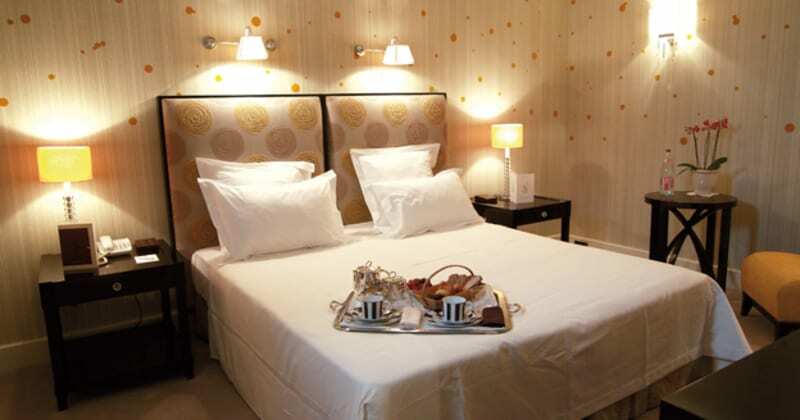 Hostellerie de Plaisance’s 21 spacious rooms are airy and offer magnificent views of the village or the Saint-Emilion vineyards. The serene atmosphere, elegant and understated décor and high-quality materials invite guests to relax and enjoy their sumptuous surroundings. Each room is equipped with WIFI internet access, a large flat-screen television, luxurious bath and beauty products, a writing desk and tasteful furnishings.